See the Facebook event here. See more information here. Come! 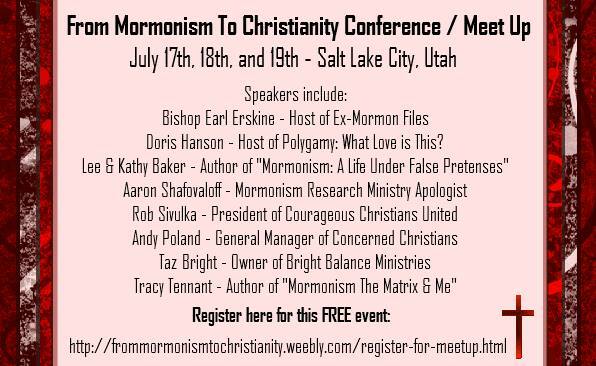 I will be speaking at 11am on Saturday on “Matthew for Mormons”, a walk-through of some exciting and surprisingly relevant themes in the Gospel of Matthew. Aaron, I saw the video of your talk on the parables and the steady unbroken growth of His Church.. It was excellent! I’m sure your talk on Matthew will be good too. You all have fun! Since I won’t be there, it will be a good time to play Apples to Apples to your heart’s content. Ok. Im about to make a huge admission here about something. Although to those of you who know me it wont come as a big shock. I dont really read the NT. If I read the NT its only because im looking something up or researching a certain subject. So im curious about the Matthew for Mormons topic and what that is all about.